My favourite stories were Dunce and The Meeting. Dunce was smart on many different levels. It touched on the fact that humans wouldn’t cry if they understood what was going on and also that love looks beyond flaws. The Meeting was a very sweet story which ran with the theme that being with someone can stop the pain of loneliness. I’m not going to lie and write I got something from every story because some went right over my head. However, I was still able to enjoy them somehow as the scenes were easy to visualise. 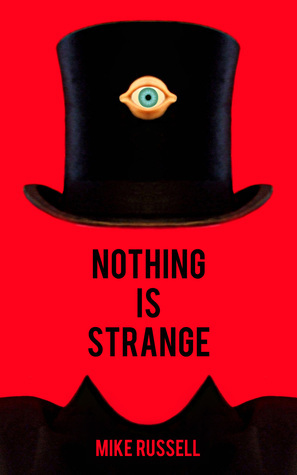 Also, the ‘out there’ themes of Nothing Is Strange were easier to digest in smaller forms. However, this book is not for everyone but if you like the crazier part of life, then it is definitely worth checking out. It’s so different to other books! Great honest review 🙂 I’ve never been a fan of short stories but love anything weird! I’ve not read many short stories, but I do love it when you can read something and visualise it, that’s pretty special. Thanks for sharing! Ooh this certainly sounds a bit different, which is no bad thing! Always fun writing a review when you’re not entirely sure what happened in the book! Great review! Thanks a lot! It’s always nice to spice things up with a book that is a bit out there. I love a short story collection and this one sounds, unusual shall we say! I think I will try and check it out at my local library! I hope they have it. Enjoy! Great review although I’ve not read many short stories this seems really good and a nice little read! Me neither but I quite enjoyed these. I think you would really enjoy this then. I’m not sure this one is for me, but I’m so glad you enjoyed it!